JPMorgan Chase (JPM)’s 2018/3Q (July-Sept) results announced on 12/10 showed that net income had risen by 24.5% over the previous year owing to the expansion of stock trading revenues. The company’s EPS is also better than market expectations. With the rise in interest rates, the company’s net interest margin had risen to 2.51% from 2.46% in the previous quarter. CEO Jamie Dimon praised the tax reduction and deregulation efforts of the Trump administration and commented that despite the increase in economic and geopolitical uncertainties, the economies of the US and the world were growing strongly. However, he also mentioned the possibility that these uncertainties could hurt the economy in the future. In its World Economic Outlook published on 9/10, the IMF revised the forecast growth rate downwards for the first time in about two years, from 3.9% in July to 3.7%. It is expected that the momentum of growth will slow against the backdrop of escalating trade friction, and the emergence of vulnerability in some emerging economies. We expect the intensifying US-China trade war and the surge in interest rates to accelerate the outflow of funds from emerging economies. The IMF’s worst case scenario estimates that the global growth rate in 2020 will be reduced by more than 0.8%. The IMF data showed that the growth rate for China and the US in 2019 could be reduced by 1.6% and 0.9% respectively. Currently, there are many negative factors surrounding the market, such as US long-term interest rate trends, Brexit problems, Italy’s finances, and issues relating to suspicions of the murder of a prominent journalist by Saudi Arabia. In particular, China appears to be beginning to be affected by the trade friction. GDP growth rate for the July-Sept quarter announced on 19/10 was 6.5%, which is lower than the 6.6% annual rate relative to the previous quarter forecasted by the market, representing a decline for two consecutive quarters. China has been taking measures to reduce the burden on companies and individuals and raise consumption by lowering the reserve requirement ratio, and increasing the tax reduction scale by 200 billion RMB (3.2 trillion yen) to 1.3 trillion RMB (20.8 trillion yen). However, it takes time for the policies to take effect, and with the expected rush to increase exports before the imposition of additional tariffs, the appearance of any weak economic indicators may cause further instability in the market. In relation to the financial results of US companies, we should pay particular attention to the performance of the manufacturing industry, especially with respect to rising personnel and raw material costs. Domestically, with the announcement of financial results gaining speed, we should also look at the same trends when selecting stocks. 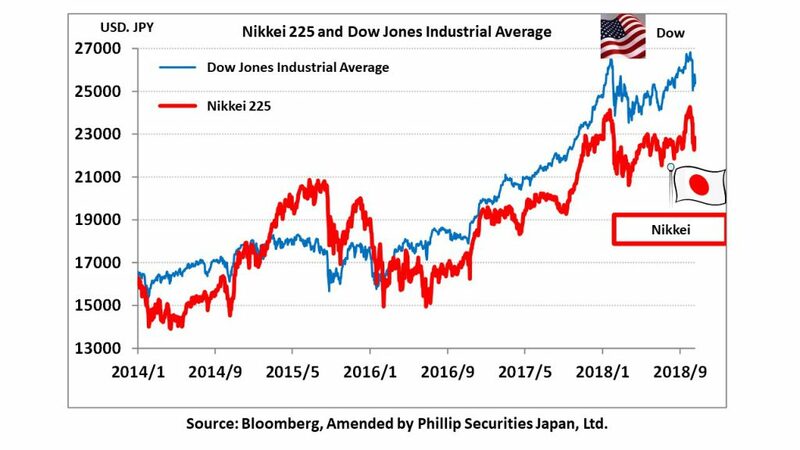 We should pay attention to trends where, despite uncertainties, the performance of companies may push up US-Japan stock prices. In the 10/22 issue, we will be covering Dai-Dan (1980), Hioki E.E. (6866), Yamazen (8051), Japan Airlines (9201), SOU (9270) and Jolly-Pasta (9899). ・Founded in 1903. Incorporated in 1933 as “Osaka Denki Shokai/Osaka Danbo Shokai Co., Ltd”. A general facility construction contractor engaging in supervision and construction of electrical facilities, air-conditioning facilities, plumbing & sanitary facilities, renewal works and overseas projects. In recent years, also involved in ZEB (Net Zero Energy Buildings), regenerative medicine, IoT, etc. ・For 1H (Apr-Sept) of FY2019/3 preliminary results, net sales increased by 2.1% to 69.6 billion yen compared to the same period the previous year, operating income increased by 13.7% to 3.64 billion yen, and net income increased by 14.9% to 2.64 billion yen. Orders had increased and projects on hand are progressing smoothly. As a result, we expect better performance than the original plan of 67.5 billion yen net sales, 3.0 billion yen operating income and 2.0 billion yen net income. ・For FY2019/3 plan, net sales is expected to increase by 5.3% to 151.0 billion yen compared to the previous year, operating income to increase by 1.5% to 7.5 billion yen, and net income to decrease by 2.1% to 5.0 billion yen. Announcement of results is expected on 8/11. Company has started construction of “Enefice Shikoku”, its Shikoku branch. The facility’s design has attained “BELS 5☆/[ZEB]” qualification. ・Established in 1952. Develops, manufactures and sells electrical measuring instruments. Developing business through four product sectors, namely Automatic Test Equipment, Data Recording Equipment, Electronic Measuring Equipment and Field Measuring Instruments. Products are used for maintenance inspections of electrical work / equipment, inspection of electronic components used for smartphones and PCs, development of EVs, maintenance inspection of photovoltaic power generation equipment, etc. 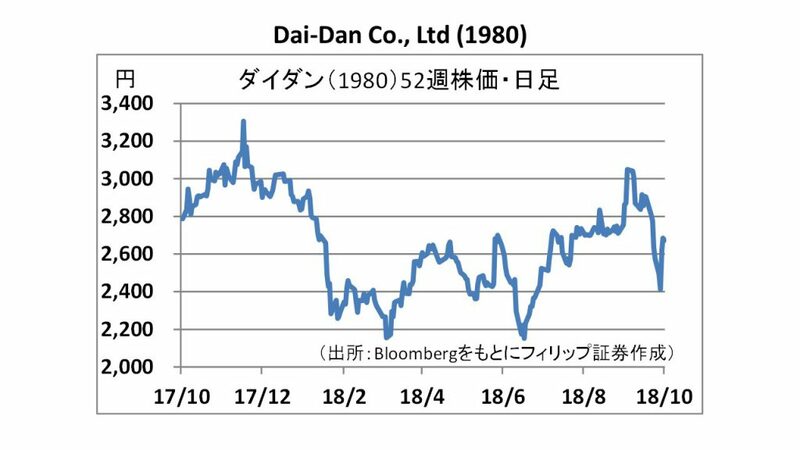 ・For 3Q (Jan-Sept) of FY2018/12, net sales increased by 11.1% to 17.225 billion yen compared to the same period the previous year, operating income increased by 33.0% to 2.727 billion yen, and net income increased by 44.3% to 2.181 billion yen. As a result of progress towards more electric-powered vehicles and increasing sophistication of smartphones, facilities investments such as R&D and production equipment have strengthened in the automotive and electronic components sectors, which are the main customers of the company. ・For FY2018/12 plan, net sales is expected to increase by 8.7% to 22.7 billion yen compared to the previous year, operating income to increase by 22.6% to 3.07 billion yen, and net income to increase by 27.1% to 2.54 billion yen. Company has set up sales companies in Taiwan in June and in Indonesia in September. 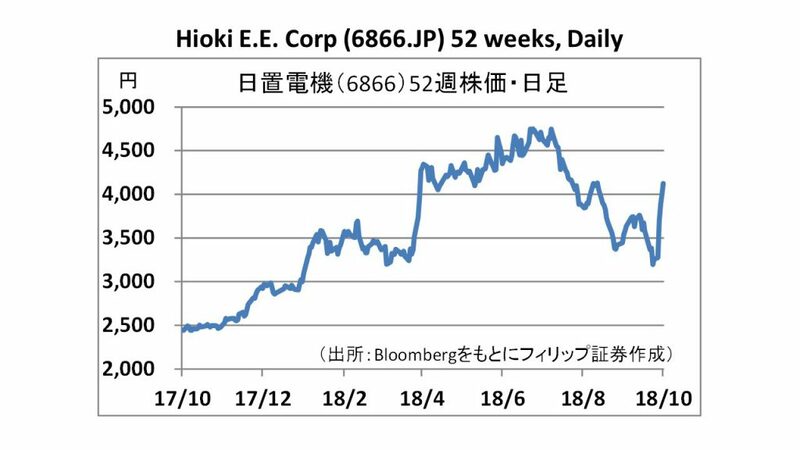 Company is planning to promote its HIOKI brand further, including in overseas companies that had been established so far. 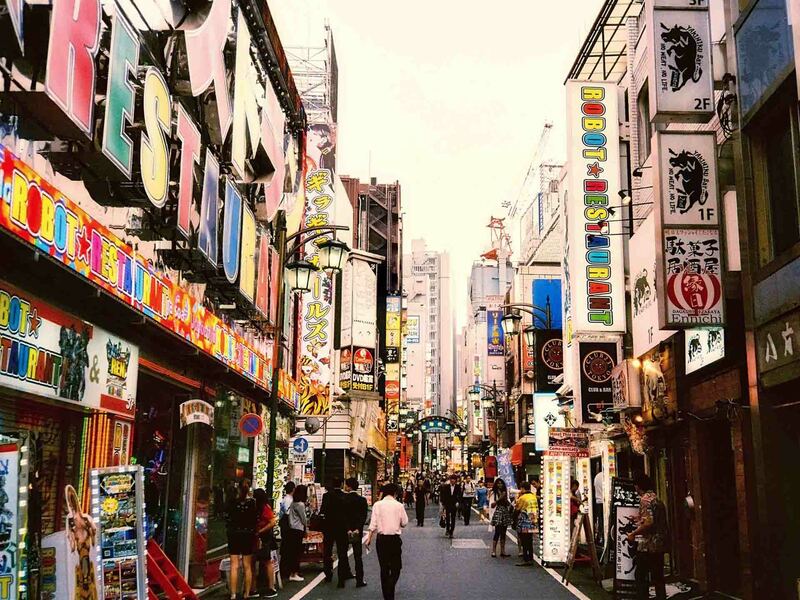 Japan Weekly Strategy Report: Company performance annulling risk factors?